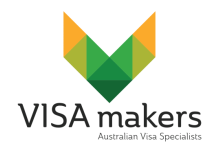 This visa allows employers to sponsor skilled workers to work within Regional Australia. Applicants are generally required to be under 45 and meet the english and skill requirements for their nominated occupation. On grant of the visa you are provided with permanent residency and are required to have the 'genuine intention' to remain with your employer for 2 years. Perth, Brisbane, Gold Coast, Sydney, Newcastle, Wollongong and Melbourne. Applicants can be either onshore or offshore at time of lodgement and at time of decision. The Direct Entry stream is for workers who are untested in the Australian labour market and are applying for an RSMS visa from outside Australia or are applying from inside Australia but are not eligible for the Temporary Residence Transition stream. Many students, working holiday makers and those on 457’s but for less that 2 years decide to apply through the Direct Entry stream. You meet the skills requirements for the nominated occupation. Depending on the Skill level of the occupation skills assessments may be required. For example, applicants with trade qualifications from overseas would require a skills assessment. Typically, those with ANZSCO Skill levels 1 and 2 and those with Australian qualifications would not require skills assessments. However, evidence of work experience in the occupation may be required. For example, a cook holding Certificate III in cookery from Australia may need to prove 2 years of full time employment. If mandatory for the occupation hold the relevant licensing, registration or professional membership. e.g. Nurses, Teachers, Electricians. Meet the requirements of the Regional Certifying Body e.g genuine need for the position, market rate for salary. Applicants generally do not need to have their skills assessed. A skills assessment may, however, still be requested where this is considered to be necessary. Have met or make a commitment to meet the training benchmarks as specified for 457/TSS sponsoring businesses.